The Ketogenic diet, also known as the keto diet, seems to be the new miracle cure or panacea for a variety of diseases and weight management: this diet is intended to curb appetite, improve performance and cure almost any health problem. Too good to be true? Before you jump on the bandwagon of the new hype, we explain what you need to know. The ketogenic diet consists mainly of fat and partly of protein. Carbohydrates are frowned upon. Following on from the well-known low-carb trend, this then becomes no-carb. The keto diet is so named because, without a supply of carbohydrates, the body enters into a state of ketosis. This means that the body is induced into a type of metabolism similar to when fasting. Basically, our bodies gain the fastest energy from glucose. However, our brains rely on carbohydrates because proteins and fats cannot cross the blood-brain barrier. When glucose components are no longer available or if the stored energy is depleted, the body must provide itself with energy as a protective mechanism. For this, the body resorts to its own reserves. In the liver, fatty acids are converted into ketone bodies or free fatty acids arise from fat cells. The entire nervous system can then gain energy from them. In summary, this means that the body produces the required energy from fat rather than carbohydrates. Enough with the biochemistry; what does this mean in plain language? Pasta, bread, rice etc. are completely struck off the menu. There are even restrictions when it comes to fruit and vegetables. Dairy products, such as milk and yoghurt, are not recommended because of their lactose content. As you may already know, this diet is very one-sided. There is a strict and a more relaxed form of ketogenic nutrition. In the strict form, one may consume only 30g carbohydrates (which is equivalent to 2 potatoes and 1 carrot). The moderate form allows for 50g carbohydrates (approx. 100g raw noodles). There are no “cheat days” or “cheat meals” on this diet because just one day is enough to lure the body out of ketosis. All types of fat – polyunsaturated, monounsaturated and saturated fatty acids – are allowed. Typical foods in the ketogenic diet are oily fish (herring, salmon, tuna, sardines, etc. ), avocado, coconut oil, olive oil, butter, whipping cream, nuts, cheese and deli meats. The table at the end of this tip provides an overview of different dietary types. What is the ketogenic diet used for? The original purpose of this diet was not to help people fit into smaller jeans. The ketogenic diet was developed in the 1920s to treat epilepsy in children, reducing the frequency and severity of seizures. A ketogenic diet should only be followed under medical and dietary supervision. Avoiding carbohydrates has a negative effect on the body’s energy levels, and especially on the nutrient supply. In addition, this type of nutrition can lead to muscle loss. By omitting or strongly restricting fruit and vegetables, an adequate supply of vitamins, trace elements and minerals is no longer guaranteed. This can lead to the following symptoms: loss of concentration, tiredness, nausea, etc. Furthermore, there is an increased excretion of acetone through the skin, which is also noticeable as halitosis. The lack of fibre has a negative effect on the intestinal flora and metabolism and often leads to constipation. The extremely high intake of fat (especially saturated fat) can worsen blood lipid levels and promote hypercholesterolemia. A keto diet is not suitable for everyday nutrition, should not be followed on its own and detracts from enjoyment and quality of life. 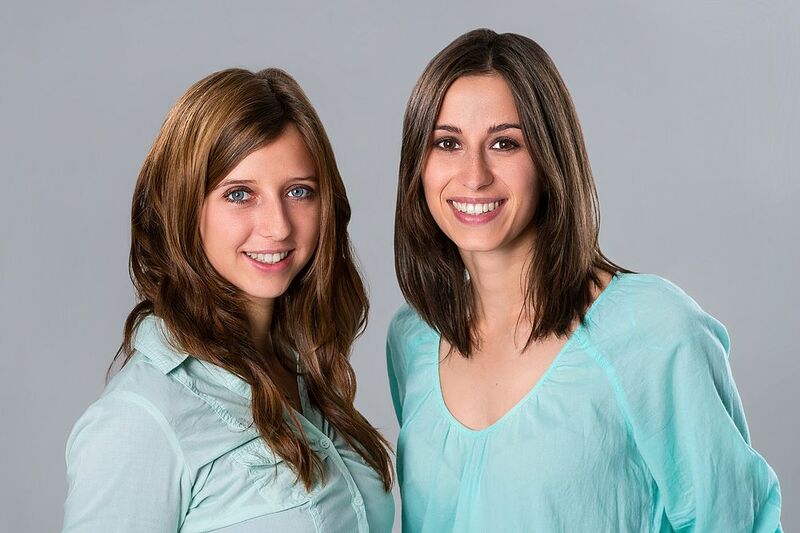 We are Carmen and Jasmin Klammer – nutritionist and dietician – and we are sisters. Our aim is to shed some light in the jungle of information on nutrition through scientifically proven facts. Our passion is, amongst other things, cooking. As cookbook authors, we love to create delicious food as well as to blog about the latest trends. "I have set myself the task of clearing the jungle of information about nutrition through scientifically sound foundations. Since we are all unique, it is my concern to restore confidence in one's own body. This is achieved by combining optimal nutrition and exercise." 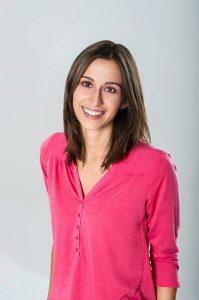 "My goal is to provide a varied yet tasty diet that helps to regain your own body awareness. For me, this includes a balanced balance between diet and exercise."